Global children’s entertainment specialist Ludorum has signed licensing agent Jantar Projeck to represent the Chuggington brand in Central Eastern Europe. The deal sees Jantar Projekt, managed by Janusz Tarasiuk and Jurate Hardy, represent the Chuggington brand across Poland, Hungary, Czech Republic, Slovakia, Estonia, Latvia and Lithuania. Chuggington will be Jantar Projekt’s core pre-school property and the firm will focus on growing and building the brand. The Chuggington TV series has already been a success across thre region, airing in Poland on Mini Mini and TVP since 2010, in Hungary, Czech Republic and Slovakia on Minimax since 2009 and most recently in Latvia, Lithuania and Estonia on TV3 since 2011. 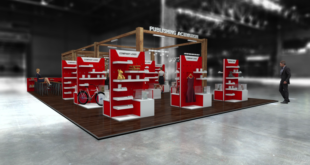 “We have worked closely with Chuggington’s master toy partner Tomy since it launched in the region which has provided us with broad knowledge of the brand and the product strategy," said Jantar Projekt’s sales director, Jurate Hardy. "Together, Janusz and I have the experience, knowledge and passion to give Chuggington the best chance of long term success across Central Eastern Europe”. Chuggington’s master toy partner, Tomy, distributes the Chuggington Stack Track system across all CEE markets and various licensees in Poland have produced Chuggington DVDs, apparel and home textiles. 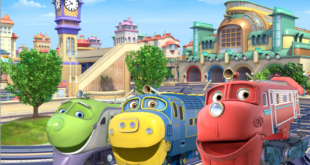 “Chuggington is a highly recognised pre-school property across Europe with storylines that resonate with boys aged two to five," said Natalie Setton, head of international sales at Ludorum. "This audience seeks out opportunities to engage with train play and re-enact the adventures of their favourite Chuggington characters, so with new episodes of Chuggington airing across a number of CEE broadcasters, now is the time to explore further licensing opportunities with the brand."